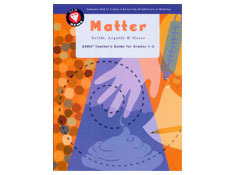 Matter: Solids, Liquids and Gases invites students to figure out the physical world around them. As children, this is already their main pursuit! This unit capitalizes on that natural curiosity and helps young students learn to think critically and gather and apply evidence to expand their knowledge, just as scientists do. 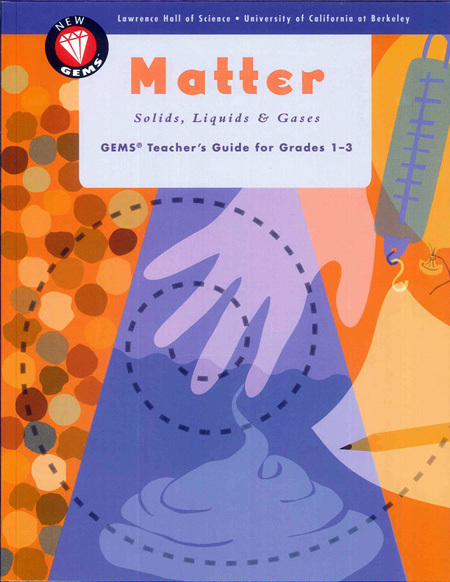 An understanding of matter is fundamental to scientific literacy. The ability to distinguish among solids, liquids, and gases is a gateway to more advanced understandings. The concepts in this unit align strongly with multiple state science standards, the National Science Education Standards and Benchmarks for Science Literacy. This unit is responsive to extensive research on student misconceptions and is designed to give students repeated opportunities to revise their ideas.